Can online poker finally cross the finish line in the Keystone State? 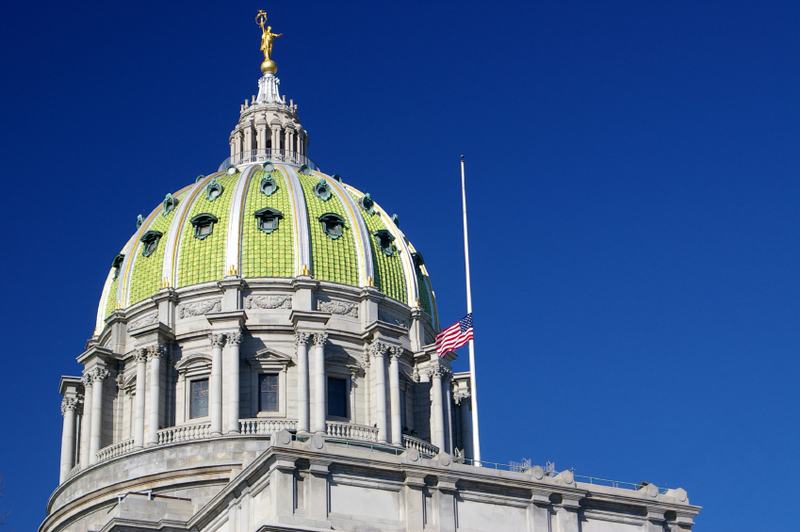 The Pennsylvania House passed a bill to regulate online gaming by a 102-89 vote on Wednesday night, sending it back to the Senate once again for review. The House passed the measure earlier this year, and the Senate changed some of the language, including raising the tax rate on house-banked internet games to 54 percent, while setting the tax rate for online poker revenue at 16 percent. Those rates have drawn some criticism from stakeholders in the state’s $3 billion casino gambling market. The plan that the House passed last night has a proposed 16 percent tax for all the online casino games. Lawmakers in both chambers will have to sort this out if the bill has any chance to reach the governor’s desk this year. Pennsylvania would be the fourth U.S. state to legalize and online poker sites. Should the House and Senate find a compromise on the amendments, which include the controversial question whether or not to allow slot machine-like devices in bars and taverns across the state, it would be great for poker in Pennsylvania. Poker is growing, albeit slowly. The state’s poker rooms raked $58.6 million in calendar year 2016, about $1 million more than revenue generated in 2015. The poker rooms raked $20.38 million through the first four months of 2017, up 1.4 percent compared to the same period last year. There are 225 poker tables in the Keystone State. The legislation, HB 271, would also allow the state lottery to sell tickets over the internet. Additionally, it would fix a local share tax issue that if left uncorrected would cost communities with a casino millions of dollars in revenue. Pennsylvania’s casino industry won an all-time high $3.2 billion from gamblers last year, but that was less than two percent more than gaming revenue in 2012. Gaming industries in neighboring states have been beefed up in recent years, and Atlantic City is making a slow comeback. Online gaming is expected to add about $300 million to the state’s gambling market when the industry reaches maturation, which could take several years after launch. Pennsylvania is eyeing $250 million from gambling expansion for its budget.